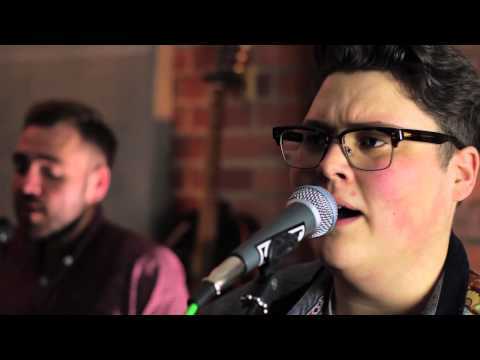 Scully are a 5-piece band of extremely highly talented musicians from the North West of England. Capturing perfectly the hugely in-demand sound of the likes of Mumford & Sons, The Lumineers and the rest of the new-wave folk revival, this is the perfect act for your next wedding, function or corporate event. Five superbly talented musicians, top notch equipment and a driven love for performing the kind of music they do, this is as close to the real thing as you can get. Ideal for brides and grooms who want their wedding band to symbolise their own taste in folk-inspired pop music played honestly and 100% live. Scully are also a big hit on the corporate scene, guaranteeing a full house and a packed dancefloor for the entire night! Scully are not the cheapest band around, but with very good reason. Think "reassuringly expensive" and you're in the right mindset! If you've ever dreamt of Marcus Mumford performing your first dance, but then woken up to realise this is maybe just a step too far for your budget, then go get the very next best thing - Scully. It'll come as no suprise that this is one of the UK's busiest bands, so waste no time in finding out if the lads are available on your date by contacting your nearest local Hire A Band office without delay. Call us today on 0191 222 0202 or email lee@hireaband.co.uk or simply hit check price and availability. Sorry, Scully doesn't have any photos right now Send us an enquiry and we'll get back to you, or check out the rest of the act profile. Sorry, we don't have a setlist for Scully yet Send us an enquiry and we'll get back to you, or check out the rest of the act profile.